Q: How does the credit card payment process work? 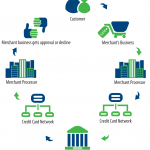 Q: How does the merchant funding process work? Q: What building layout considerations will help optimize customer payments via credit card? 1. Customer Access to Terminal If you plan to accept debit cards, customers will need convenient access to the terminal or PIN pad so they can enter their PIN. 2. Ease of processing access The faster the better. Customers are an impatient group and expect a speedy checkout. A terminal located halfway across the store will not meet customer expectations. 3. Access to telephone jacks or High Speed Internet connection Locate terminals in close proximity to existing telephone jacks or high speed internet. Also, you can have your local telephone company or internet provider install jacks near where you will be placing processing equipment. 4. Equipment footprint Do you want an all-in-one integrated terminal solution or separate equipment? More merchants desire a smaller footprint to conserve countertop space and tend to choose integrated equipment. 5. Purchasing a second phone line (if you’re using a dial-up terminal) If you’re using a dial-up terminal, in some cases you will want to purchase a second phone line from your local telephone provider. Busy phone lines when processing transactions can cost you potential sales. Q: What does it mean when a company says I qualify for “Wholesale Rates”? This is a just a sales tactic to get an appointment with you. Visa, MasterCard, and Discover are not merchant services providers and each bank assesses direct interchange fees to issue cards. These fees cannot be waived. Any savings are a result of the merchant provider discounting their own markup. In most cases, a provider offering wholesale pricing will promise savings but charge higher prices on other services such as equipment leasing and supplies. Q: What are the benefits of local support vs. call-center support? In the event of equipment failure, Precision Payment Services stocks replacement equipment in-house and can respond within hours, instead of having to wait several days for equipment to ship. Most people have experienced the frustration of waiting in queue for call-center support, only to be transferred back and forth, waiting to hear that they cannot ultimately resolve your problem. 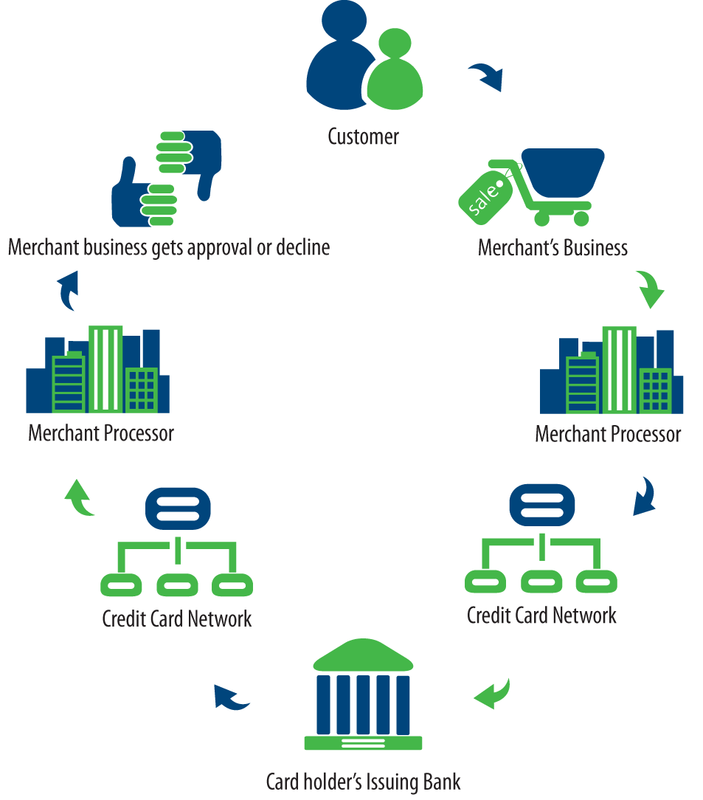 Quick resolution is imperative to ensure a merchant stays open for business. Q: Why use Precision Payment Services instead of my Bank? PPS has negotiated its pricing based on the combined volume of its customers’ accounts, whereas banks will typically base pricing on the volume of your account alone. This combined portfolio strength results in significant savings when opening an account with PPS. In addition, PPS provides a dedicated representative for the life of your account. All of our account representatives receive thorough training on the intricacies of the merchant services industry. In contrast, most personal bankers will not be able to assist you should a problem arise, because they are unfamiliar with merchant services and are typically not the point of contact for you once your account has been established. Q: Do I have to use my bank for merchant services to qualify for a business loan or other services with them? Banks may imply or suggest that savings will occur only if they can bundle certain products or services together. 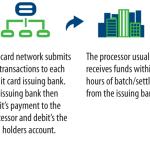 In actuality, banks will merely shift revenue from one product or service to another. This results in virtually no real savings to your business. It is important for you to evaluate all of the individual products and services independently to determine which is best for your business success.